Going off the grid is a great way to escape the mundane aspects of society, decrease living expenses, and begin living a more self-sufficient life. The process of going off the grid, however, is not something that most people can do all at once. 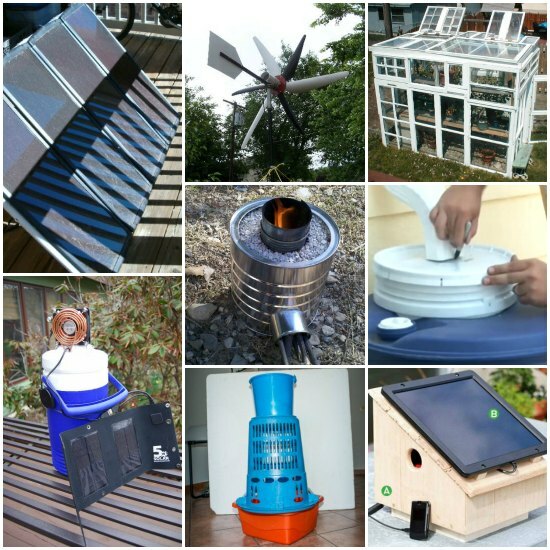 Here are several off the grid projects that you can do that will eventually get you where you want to be. 1. Build your own mini turbine to generate off-grid power. 2. Build your own DIY solar power system. 3. Build a DIY greenhouse to grow your own food. 4. Build a DIY refrigerator to store fresh food. 5. Build a DIY solar oven to cook food on sunny days. 6. Build a DIY rocket stove to cook food efficiently. 7. Set up a DIY rain collection system. 8. Set up a greywater system to use in your home and in your yard. 9. Build a DIY washing machine. 10. Build a DIY solar power charger for your portable devices. 11. Build a composting toilet to make your own fertilizer. 12. Add a DIY root cellar to your property. 13. Build a solar generator that is portable. 14. Build a solar powered go-kart for your property. 15. Build a solar charged stereo cooler to use around the home. 16. Build a solar powered personal air conditioner. 17. Build a solar energy generator for any emergencies. 18. Learn how to restore solar cells to keep your DIY projects working. 19. Build a DIY water filter to have fresh drinking water. 20. Use a solar light to recharge AA batteries to use in a flashlight. 21. Build a passive solar window heater for your home. 22. Build a fireplace boiler heating system for your home. 23. Make a homemade humidifier to use during the winter. 24. Build a DIY dehumidifier to remove excess moisture in your home. 25. Add an edible garden to your roof.